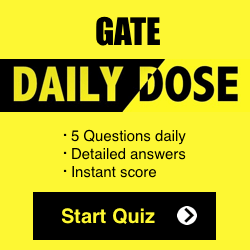 Verbal Ability is essentially an indispensable part of the GATE exam. It is indeed a high scoring topic in GATE. 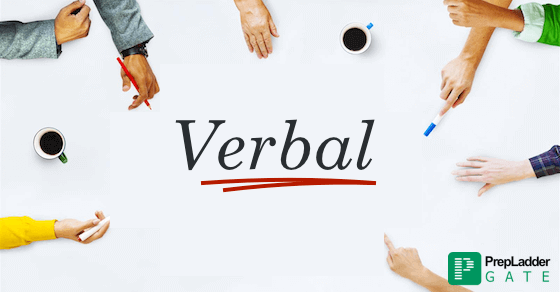 Prepladder has devised this article with a view to help the aspirants learn as to how to prepare Verbal Ability section for GATE 2018 exam. This article will cast light on the important topics of Verbal Ability, types of questions asked and preparation tips shared by experts. b)Identifying the Incorrectly Spelt words: The test designer would such select words which are fairly common and are used regularly yet are often spelt incorrectly. 2) Sentence Completion: Questions based on this are specifically designed to evaluate the candidate’s vocabulary.These questions comprise of an incomplete sentence followed by 4 - 5 words offered as options. 3) Verbal Analogies: These questions are based on identifying the relationship between the given words in the group. These questions are meant to evaluate candidate’s reasoning ability and vocabulary. To be able to solve these questions, candidates’ must develop an understanding of the precise meaning of the words in the question and identify and analyze what exactly is the relationship between them.Then you must review the answer options to see which one is the most appropriate. Antonyms and Synonyms : These are designed to test the candidate’s vocabulary. Candidates must have the understanding of the precise meaning of the given words to be able to filter out the word which is the antonym or the synonym. Word Pair Questions: In these questions, you need to first identify the relationship between ‘X is to Y’ words before reviewing the options. Identifying the relationship will help you arrive at the solution quickly. 5) Comprehension Questions: These questions comprise of a short passage and related questions. These questions are highly scoring since the candidates are required to answer from the information given in the passage. These questions are asked to evaluate candidate’s comprehensive ability. The best way to attempt these questions is to skim through the passage quickly to get an overview and then attempt each question in turn by referring back to the relevant part of the passage. 6) Critical Reasoning and Verbal Deduction : In these questions, the question is presented in the form of series of facts expressed in statements and candidates are required to understand and manipulate the statements in order to solve a specific problem. Reading Newspaper: You must develop the habit of reading an English Newspaper on a regular basis. This will greatly help you improve your vocabulary and grammar skills. Take Short Notes: You must take short notes of new words that you encounter and note down its meaning, antonyms and synonyms. Practice: You must practice a mixed bag of questions from good quality competition books and Internet sources. Take Online Mock Test Series: You must attempt mock test series regularly. This will help you identify your weak areas and improve your speed and accuracy in answering.